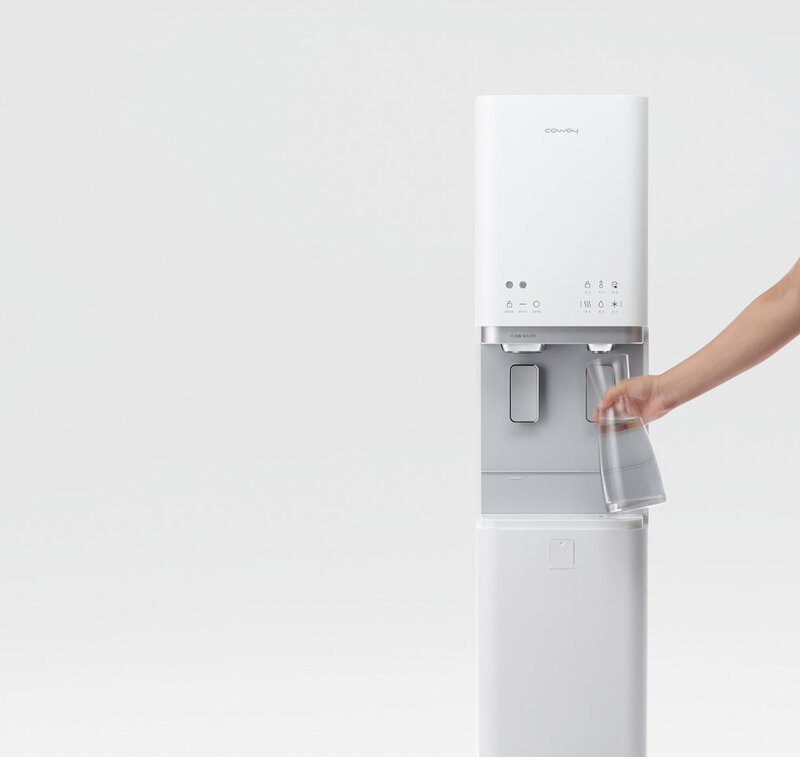 Household electronics company Coway and Joongho Choi Studio worked together to create water and ice purifier Lucy. Lucy is a small size water purifier with ice dispenser. and Joongho Choi Studio considered easy access to parts and components for better maintenances. The cover and ice tray are designed to be separated from the body for cleansing inside the water tank and the parts are designed to be intuitive for easy dissemble. From small bottles to large bowls can be placed on the tray. The top is also designed as a tray for better user experience. Both white color version and black color version are available.